Hot from Hollywood, where it was originally formulated for professional use, EGF Botanical Complex Moisturizing Serum is a moisturising serum that provides intensive hydration while minimising visible signs of ageing. This anti-ageing antidote combines Epidermal Growth Factor, plant stem cells and peptides to stimulate collagen synthesis and in turn, fortify mature skin’s fragile fabric. Embrace your inner Dorian Gray and defy signs of ageing with this lightweight moisturising serum. 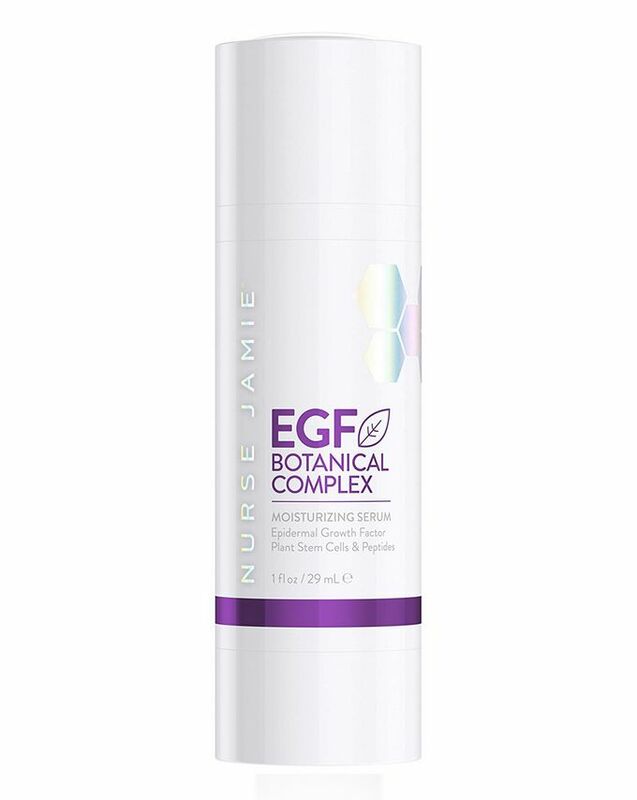 Combining the comfort of a cream with the intensive power of a serum, the formula stars Epidermal Growth Factor – which stimulates growth at a cellular level and supports the creation of collagen (the ‘scaffolding’ that keeps skin smooth and firm) – to restore youthful suppleness and recover lost ‘bounce’. Undoing all manner of damage, the plant stem cells contained in the complex assist in repairing the harm wrought by consistent exposure to UV and pollutants, while deflecting the skin-ageing free radicals which wreak havoc with cell health. Expertly crafted by clinical skin care expert Nurse Jamie, this serum is effectively a non-invasive procedure in a bottle. Apply a thin layer to the face and neck twice daily, taking care to avoid the immediate eye area. I’ve been using this twice a day for about 2 weeks and I’ve seen a very good improvement in my acne scarring and have not had additional breakouts. I was concerned that this would feel heavy on the skin and make me greasy, but despite it feeling a little heavy going on, it sinks in quickly and doesn’t cause any issues with my make up. I think it might be a winner! I got this few months back after hearing beauty guru tati talk about it. Even after regular use, I am yet to see any results.. Greasy on the application and after. Waiting to finish the bottle just because I paid a lot for it. I totally agree with Shipra ‘s review. It has made no remarkable change in my skin and the skin feels very greasy after applying this. Not at all worth buying, mere wastage of money. This serum is so moisturising and improves the look of skin in no time.